Політичні механізми формування громадянської ідентичності в сучасному українському суспільстві / Аналітична доповідь. – К.: ІПіЕНД ім. І.Ф. Кураса НАН України, 2014. – 96 с. The analytical report was prepared by the result of scientific and research work “Political mechanisms of civil identity in the modern Ukrainian society” that had been fulfilled at the I.F. 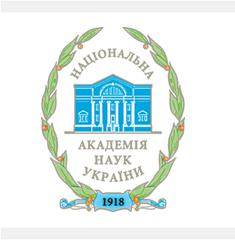 Kuras Institute of Political and Ethnic Studies of the National Academy of Sciences of Ukraine in 2014. The main political mechanisms of civil identity under present-day conditions are outlined; the activities of authoritative institution, political parties and non-government organisations which aimed at the civil identity formation are examined; the place and role of state policy as well as foreign policy influences in the process of civil identity transformation are examined; the special features of the church’s involvement to the process of civil identity’s formation are analysed; the civil identity in the political discourse of printed-word media and social networks in the civil self-determination of the Ukrainians is examined; the analysis of social and political conditions in formation of civil identity of modern Ukraine is realized.